Preheat oven to 375˚F. 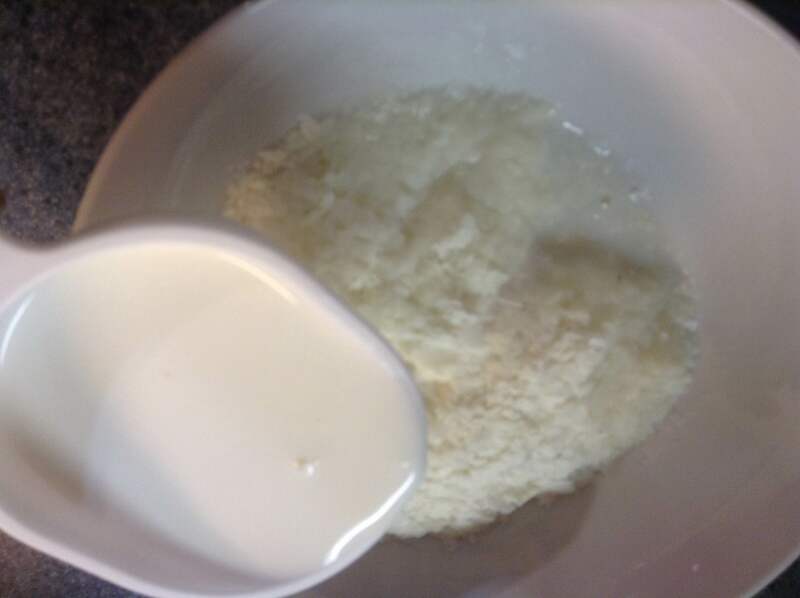 In a small bowl combine potato flakes and milk. Let sit 5 minutes until milk is absorbed. 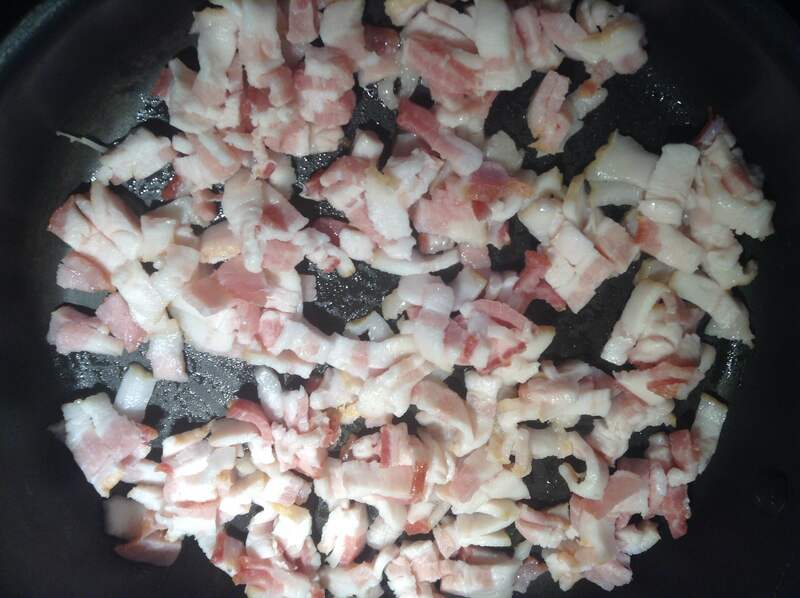 Dice the bacon and fry in a pan for about 8 minutes until browned. 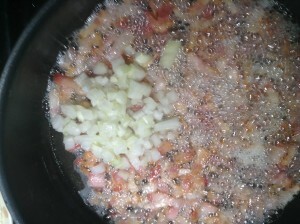 Add the onions and cook until onions are translucent, about another 5 minutes. Drain and set aside, reserving ¼ cup for garnish. 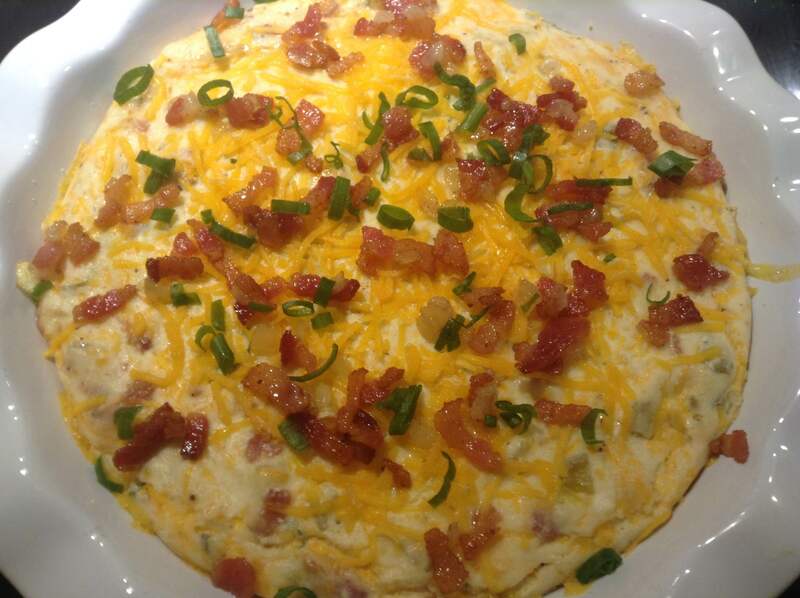 In a large bowl combine potatoes, bacon less garnish, ¼ cup scallions, green chilies, sour cream, 1 ½ cup cheddar cheese and sour cream. 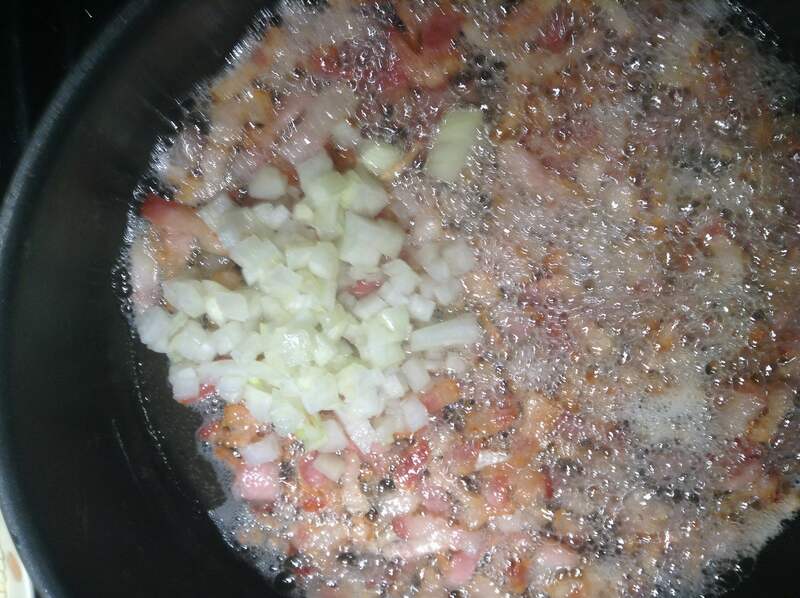 Add the spices and mix until combined. Pour mixture into a 9in round baking dish. 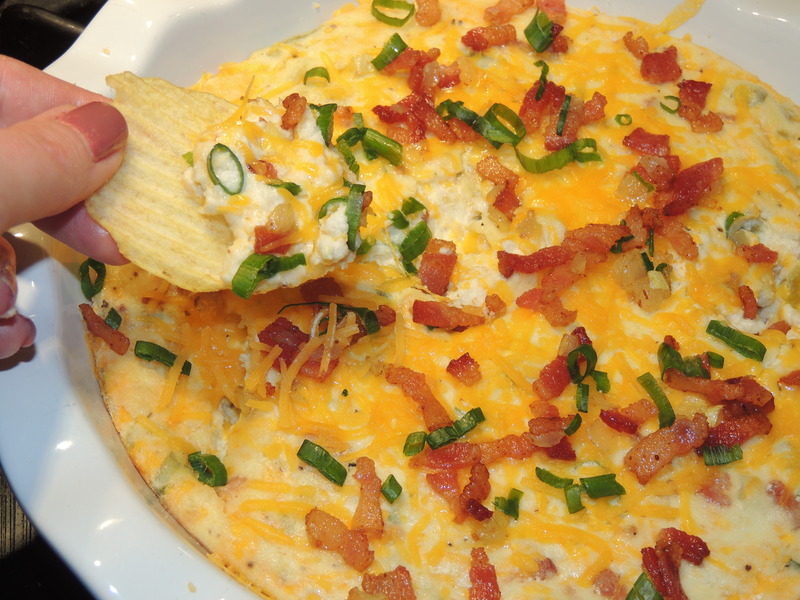 Bake the dip for 30 minutes at 375˚F. Top with reserved bacon, scallions and cheese. Serve with lightly salted potato chips. If you’re feeling adventurous, eat it with waffle fries! In a large bowl combine potatoes, bacon mixture, less garnish, ¼ cup scallions, green chilies, sour cream, 1 ½ cup cheddar cheese and sour cream. 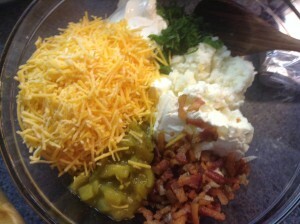 Add the spices and mix until combined. 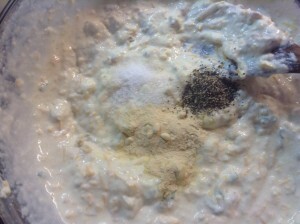 Pour mixture into a 9in round baking dish.